The Hải Vân Pass is a mountain pass at an elevation of 496m (1,627ft) above the sea level, located in the Annamite Range, in Central Vietnam. 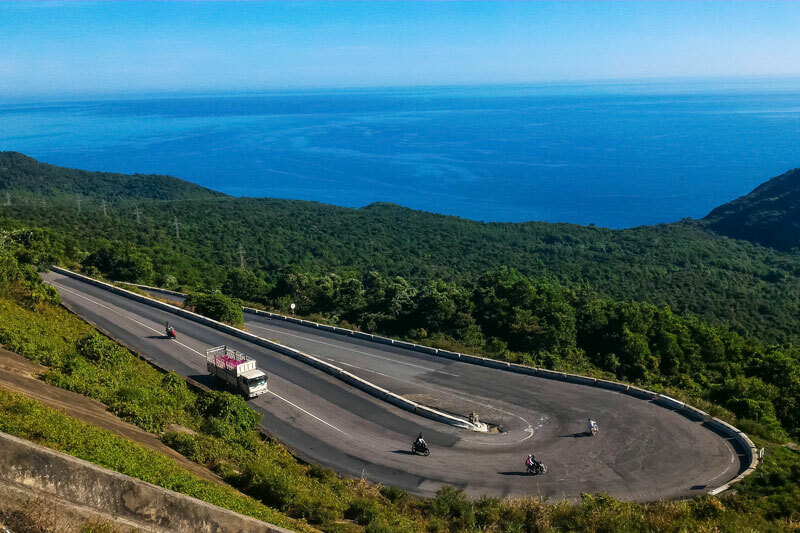 Hai Van Pass is one of the most scenic hillside roads in Vietnam. 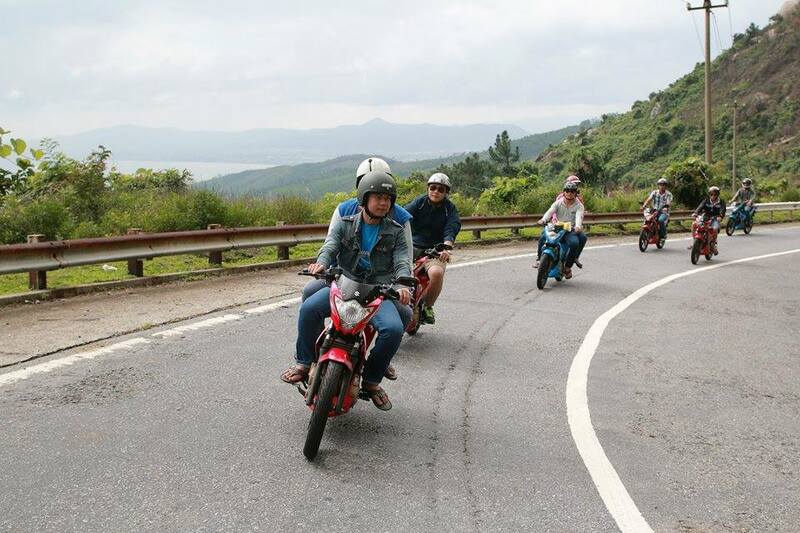 The road to the summit (The Pass of Ocean Mist), located at the border of Thua Thien-Hue Province and Da Nang City, is asphalted. It’s called National Route 1A and runs between Hoi An and Danang in the south, to Hue in the north. The drive was dangerous due the road's winding route through the pass and the eponymous mists that rise from the sea. It’s said to be one of the most beautiful stretch of pavement in the country. The twisting road along the pass is very scenic and offers a challenge for drivers. It’s a deserted ribbon of perfection - one of the best coast roads in the world. It’s 19km long, pretty steep, with sections up to 10%. The road winds up and over a fortress of mountains. This rugged pass is the final section of the Truong Son Range stretching to the sea. 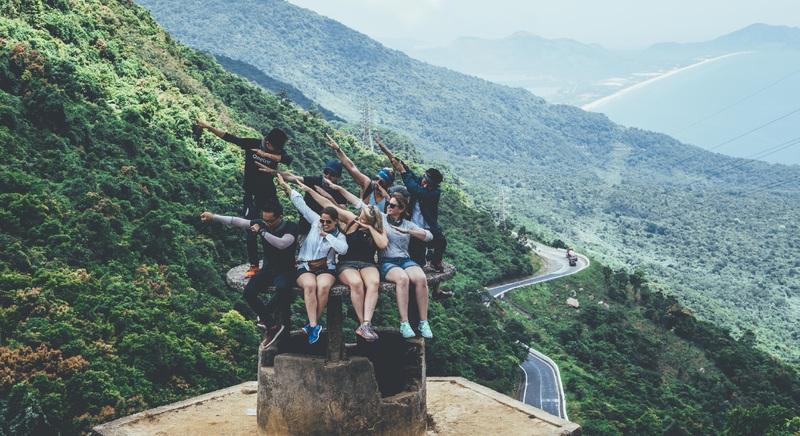 Whenever one goes through Hai Van Pass, two feelings are experienced: amazement at passing through the clouds and fear when seeing the dangerous bends of the road. 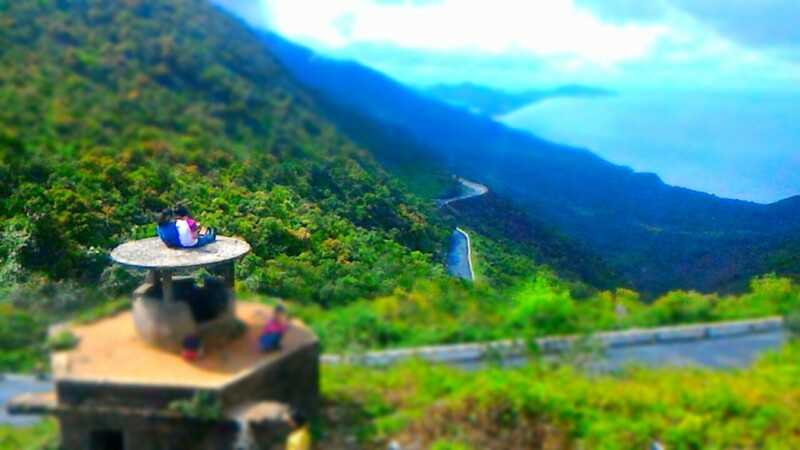 After climbing through several hair-pin curves for close to an hour, you reach the crest of the Hai Van Pass. The dangerous cliffside road was bypassed by the Hải Vân Tunnel in 2005. This is an exquisite winding mountain drive with sharp and blind curves and hairpin switchbacks leading the traveler over the mountains. The drive offers an impressive landscape of verdant mountains and clear blue skies, overlooking Da Nang City, Tien Sa Port, Son Tra Peninsula, and South China Sea. 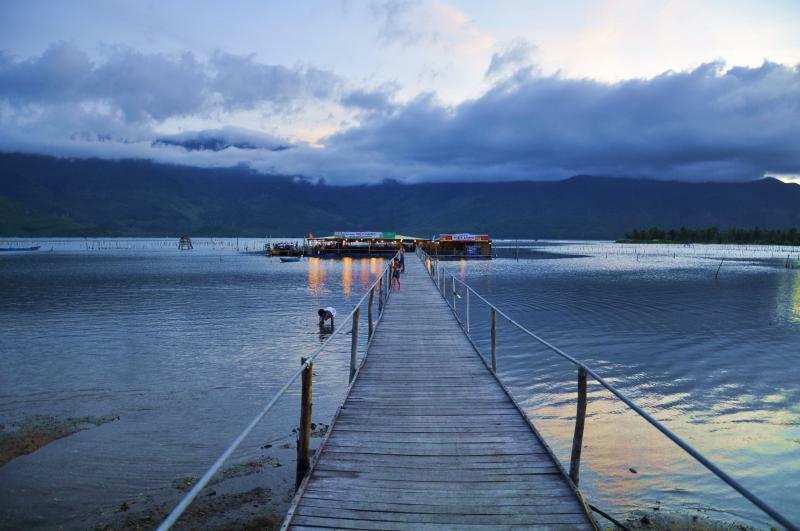 There are two main stops that will allow you to capture the view so you can save memories of your precious time in Vietnam. At a local coffee shop near Old Turtle rock, enjoy sugarcane juice or coffee as you rest your body. Continue to the top of the pass, and you will see a 6-meter high, red brick gate which was built hundreds of years ago. 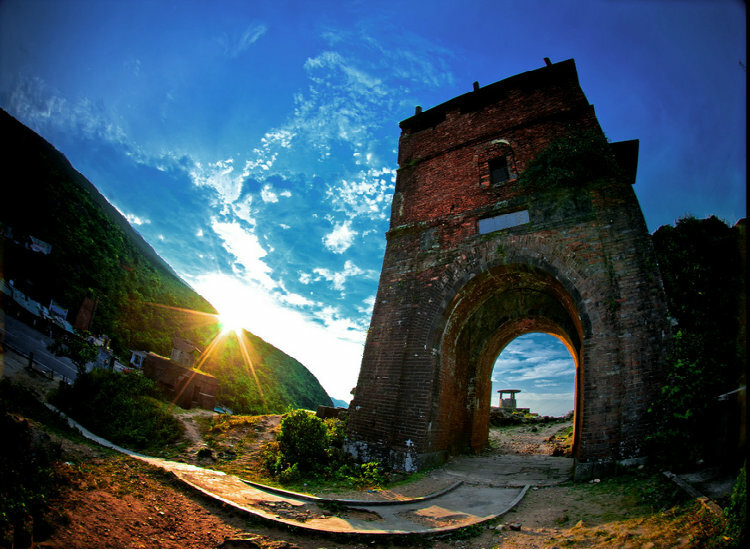 This is the Hai Van Gate, which marks the border of Da Nang and Hue province, but it was once the border of the Vietnamese and the Champa Kingdoms. You can also climb up the old war bunkers that remain from the first Indochina war, to oversee the other side of the pass and look back the way you traveled. The ride continues as you embark down the pass toward the beach. 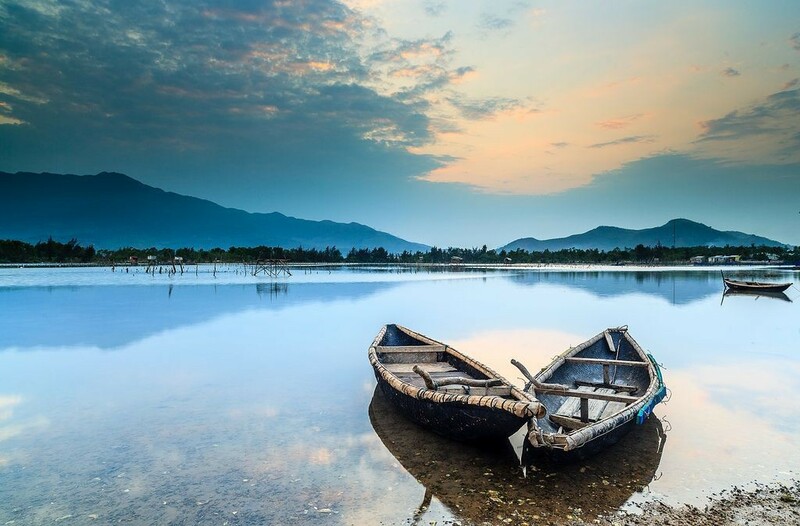 This is the place where mountains, coastlines, big modern engineering projects, traditional fishing scenes, and the soundtrack of motorized sampan boat blend together to form the most picturesque image of Vietnam. Once you reach the end of Hai Van pass, there’s still a one-and-a-half-hour ride to reach the imperial city of Hue. 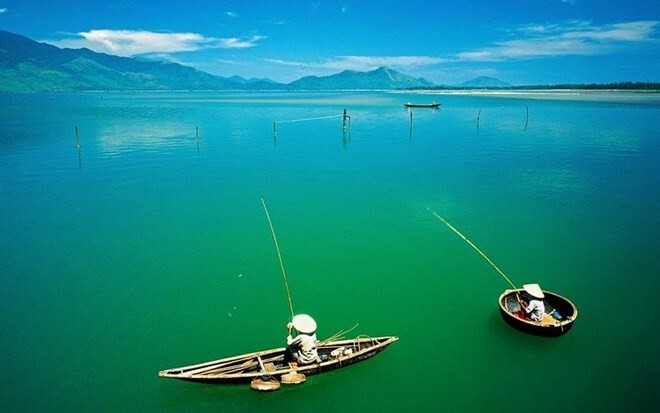 Yet, your final destination of this adventure is a local waterfall in Lang Co town, but prior to that, take a stroll along the coast of the Lang Co bay, where you can find a rural Vietnamese fishing village – sprawling fishing nets, and fishing boats with shark paintings on the side. This is your time to enjoy Vietnam in its best form as the day turns to golden light. Once you are content, your guides will take you back over the pass.